The Forza Horizon 4 November Update arrives on Tuesday, November 20th. 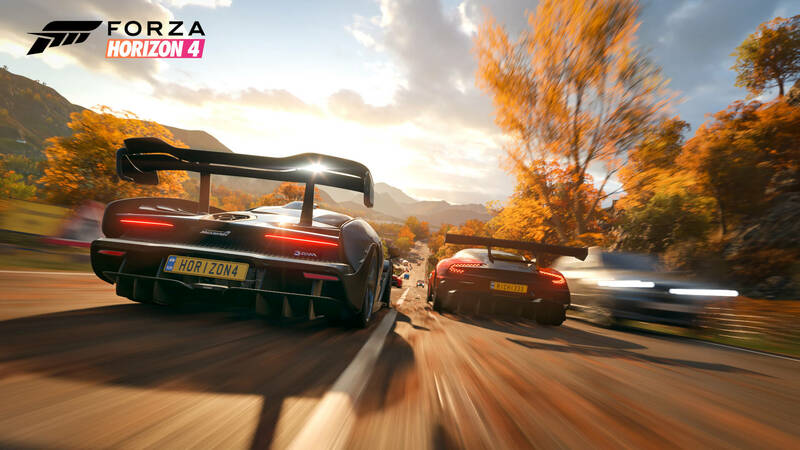 Dubbed as the ‘Horizon Service Check,’ the update was broken down by the folks over at developer Playground Games earlier today during their latest Forza Horizon 4 livestream from the studio in Leamington Spa. With that comes several smaller, but welcome features and fixes, with the most noteworthy being the improvements made to the in-game paint booth. With the November Update for Forza Horizon 4, players will be able to paint sub-groups of cars more easily, including the ability to paint the subsections of wheel rims. That includes the inner barrel and outer lip, as well as the metal inside of the wheel, and with a future release, even the brake calipers. Players will also be able to paint these using any of the colours or materials present in the game. That means if you want carbon fibre rims, you can have them! With the ability to paint the subsections of wheel rims comes the option to paint the individual sections of cars, officially dubbed as ‘Paint Groups.’ This allows players to paint one area of the car in one colour, with another area using a different colour, resulting in multi-faceted designs and paintjobs without the use of time-consuming workarounds. This also means you can add unique materials to the car to give it a unique look and create a spread of distinct materials on your cars to result in eye-catching designs and neat little effects. Say for example, a wooden inlay on the Bugatti Chiron instead of making the entire car wooden – which wouldn’t look very nice. 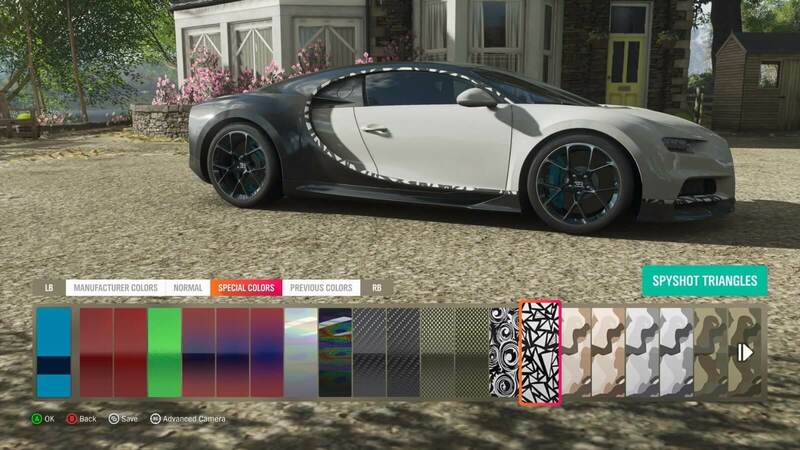 Playground demonstrated this feature on-stream using the Chiron, and it features three distinct paintable areas that can be easily customized and personalized by the player. In addition to the improvements made to painting options, there’s also 41 new wheel rims to customize your car with in Forza Horizon 4, and these come from 22 after-market brands. Playground has also reduced the cost of some engine swap upgrades, which is good news for tuners and racers alike. 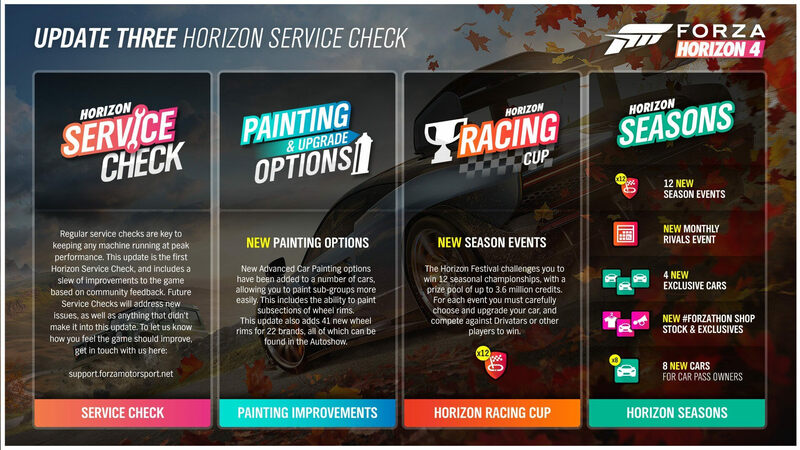 The Horizon Service Check update also features a series of tweaks to result in a better all-around Forza Horizon 4 experience. These include the ability to skip the post-race screen and the option to add new DLC cars from the Car Pass or Car Packs to your garage in-bulk. Some backend changes have also been made to result in more populated sessions, giving you the chance to experience the shared Horizon Life world with more people – up to 72 players in-total at once. Playground has also fixed an issue with civilian traffic not appearing in the shared open-world. There’s also been a series of smaller tweaks that have been made to improve the overall experience. This includes a fix for an issue where players wouldn’t receive double Forzathon points after re-purchasing the Lake Lodge, as well as improved UI information for the Route Creator that shows how many checkpoints have been placed, and how many are left available to add to an event. An exploit that allowed players to enter Rivals events with cars that did not match the restrictions has also been fixed, as well as a similar issue where players could choose cars in Private Team Adventures that did not meet the lobby requirements. Another exploit that saw users loop and extend the length of Skill Songs has also been fixed, whilst an issue where only one player would earn the rewards from Trials and Seasonal Championships will no longer occur. The last headlining feature of the Forza Horizon 4 November Update is the all-new Horizon Racing Cup, which challenges players to win 12 Seasonal Championships with a prize pool of up to 3.6 million credits. This one will require players to carefully choose and upgrade or downgrade their car to meet the required PI restriction. You’ll be able to compete against other players or AI Drivatars in the Horizon Racing Cup, but you’ll need to strategize beforehand by tuning your ride and being skilled enough if you wish to do well and walk away with the big prize pot at the end of the cup. Playground Games also revealed that new Seasonal Championships in the future will be built entirely from community-made routes. The developer has already shared the first two themes players can base their routes on if they wish to submit them for use in official championships, with the first being an S2 Class, Asphalt race during Summer and the second using S1 Class Extreme Off-road vehicles in a Cross Country event during Winter. These courses cannot exceed the maximum limit of 5-miles, and the corresponding event can be no more than 3 laps. Some tips were also provided during the livestream when it comes to creating courses. These includes tips on checkpoint placement, as the developer said route creators should make them as wide and accessible as possible without the player being able to exploit them. Routes and events should also be centered around a specific theme and be cohesive. For example, not every track in the game needs to be a 40-mile Goliath. But rather, a short race around the Glen Rannoch in off-road race machines would provide a quicker, yet more exciting and unique challenge that’s accessible to all players. Another would be a race that focuses on the Horizon Festival environment, which for the record, Playground said received a lot of changes during its development – with the fan-favourite drag strip added very late in the cycle. The team also made the area more sociable for hanging out with friends. Playground Games also teased some details on what to expect from ‘Series 4,’ which is coming to Forza Horizon 4 in exactly four weeks’ time during December. This will include tweaks to Horizon Life online multiplayer, allowing players to find and discover PvP events more easily with changes being made to how you join them. The developer also teased “big improvements” for Photo Mode. It’s worth noting that Playground Games also recently addressed an issue that saw other players ghosted when entering Photo Mode, as this will no longer happen. Some Christmas-themed content will be added to Forza Horizon 4 with ‘Series 4’ to celebrate the holidays, and the team also noted that it’s aware of feedback on Team Adventure and it’s working on improvements for the team-based competitive-inspired mode. Playground Games is also aiming to release an update to increase various limits, including the number of cars you can store in your garage, sometime in early 2019. Currently, you can only have 550 cars in-total, but this should be increased next year. If you’d like to read up on the full patch notes for the Forza Horizon 4 November Update, you can find those outlined in detail over on the Forza Support website. 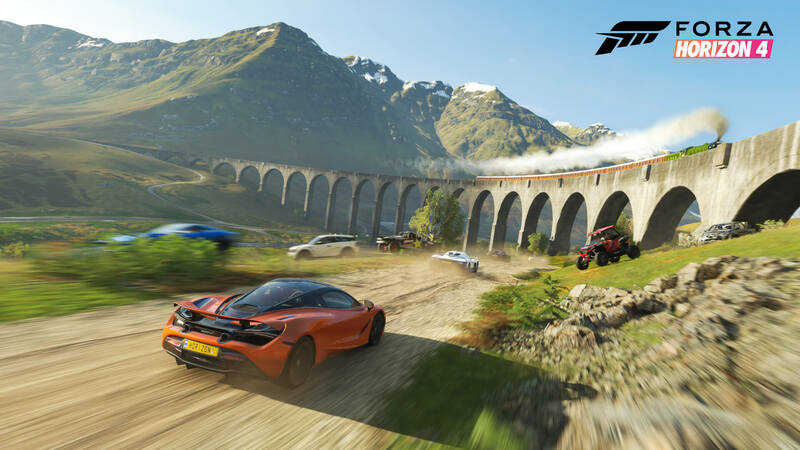 In addition to discussing the latest updates and improvements for Forza Horizon 4, the Playground Games livestream also revealed some fresh details on the Fortune Island expansion, which is coming to the game on December 13th. You can find out more in our dedicated story for everything new that we learnt about the eagerly-awaited add-on, which sees players search for hidden treasure on a perilous mythical island in the remote northern reaches of the British Isles.